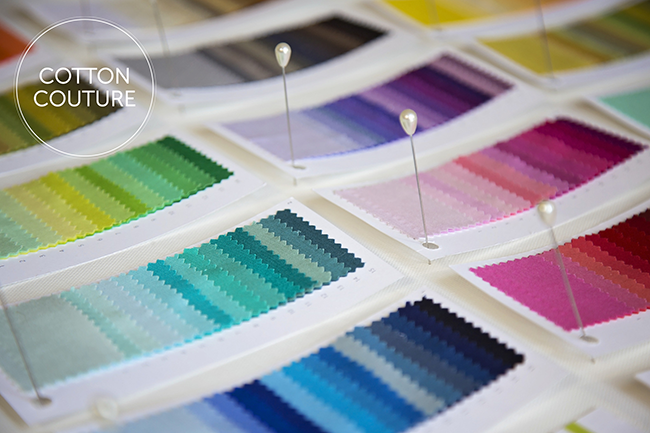 making it fun: Cotton Couture Color Cards!! 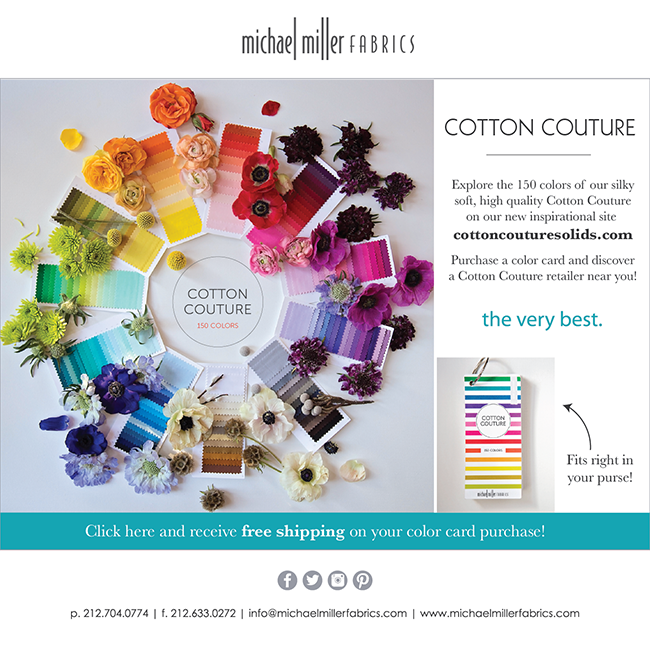 Free shipping on our Cotton Couture color card when you sign up for our newsletter! ...fits right in your purse! 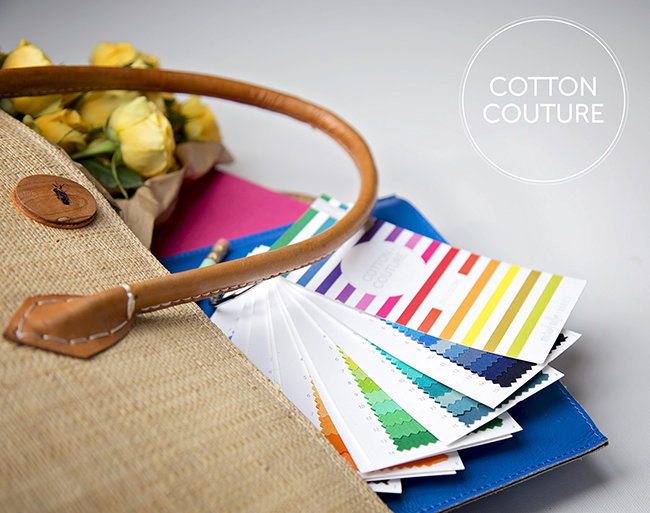 Choose from 150 gorgeous colors and enjoy the silky soft hand that is Cotton Couture. Happy Thanksgiving from Michael Miller!